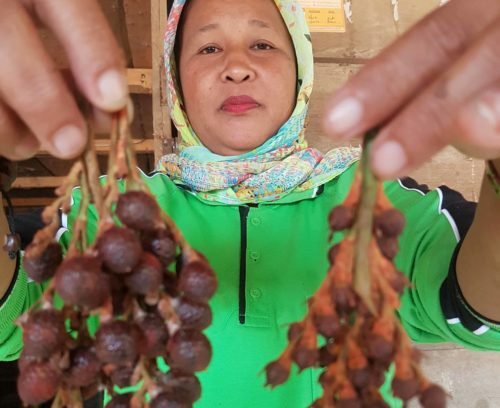 Partnerships for Forests is supporting the Ecosystem Restoration Concession community in Indonesia to explore and develop a range of revenue sources and become self-sustaining commercial entities. Ecosystem Restoration Concessions (ERCs) are a game changer for natural forest management in Indonesia. These 60-year licenses, which are granted to companies by the Indonesian government, create new possibilities for halting forest degradation and deforestation. Areas under license can be managed for the purpose of restoration – promoting sustainable livelihoods, strengthening biodiversity conservation, developing new forest management strategies, on top of reducing or reversing carbon emissions. However, ERC license holders have yet to develop sustainable business models that generate enough revenue. This threatens their aims of restoring degraded ecosystems, conserving high-value conservation forest areas and developing partnerships with communities. As companies have limited capacity and resources to assess and develop models, the commercial potential of resources, including wild forest products, remains largely untapped. Partnerships for Forests is supporting the ERC community in the development of value chains for wild forest products and ecosystem services. We are working with a consortium of ERCs consisting of PT Restorasi Habitat Orangutan Indonesia, PT Ekosistem Khatulistiwa Lestari, PT Rimba Raya Conservation, PT Sipef Biodiversity Indonesia, PT Alam Bukit Tigapuluh, and PT Restorasi Ekosistem Indonesia. to create a market for ERC-produced wild forest products which have in place a fair benefit-sharing mechanism between private companies, local communities, and other entities involved. Environmental services – We are assisting in developing the market for payment for environmental services, for instance through the Sustainable Commodities Compensation Mechanism (SCCM) by Lestari Capital. Local communities have been collecting and harvesting dragon blood (jernang resin) to use medicinally for centuries. The project will support sellers like Fatma to increase their revenue from dragon blood and other forest products. Jelutong and dragon blood – For these two value chains, we are facilitating a study to gain a better understanding of the Indonesian market. 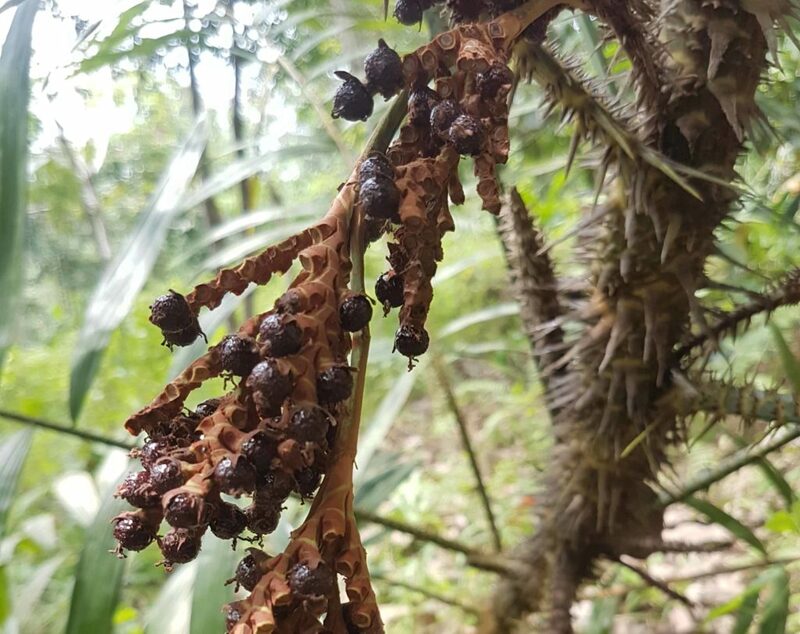 We are working to determine potential supply for wild jelutong and establish a business case for a jelutong agroforest. Wild forest honey – We are supporting an assessment of the supply-side potential, creation, management and supply of a wild forest honey brand in Indonesia. Wild forest honey has the potential to be both a profitable business for ERC partners, as well as a source of fair and steady income for local communities. Creating a national brand for honey collected from the Sialang tree will be transformative; with a sustainable livelihood from standing forests, local communities will have new incentives to help prevent forest degradation and deforestation. Rubber – We are facilitating an assessment of the commercial viability of rubber in ERCs. In addition to conducting financial and risk analyses, we are conducting a technical feasibility assessment to determine the potential volume of supply; a market analysis to determine potential buyers and partners; as well as developing appropriate business models. To date, 15 ERC licenses have been issued by the Government of Indonesia, covering an area of around 573,455 ha out of 2.7 million ha allocated for ERCs. Partnerships for Forests is working with a consortium of six ERCs whose combined concessions cover a total area of 314,422 ha across Sumatra and the Kalimantan islands. This project has the potential to lead the way in ERC development: the demonstration of a successful, sustainable model would have wide reaching implications for other non-participating ERCs (whose concessions cover 270,957 ha), as well as for the 1.6 million ha of land allocated for future ERCs. Private: PT Restorasi Ekosistem Indonesia, PT Rimba Raya Conservation, PT Sipef Biodiversity Indonesia, PT Alam Bukti Tigapuluh, PT Ekosistem Khatulistiwa Lestari, PT Rehabilitasi Habitat Orangutan Indonesia.